Yorba Linda, California: When it comes to fashion, you just have to go with your gut. 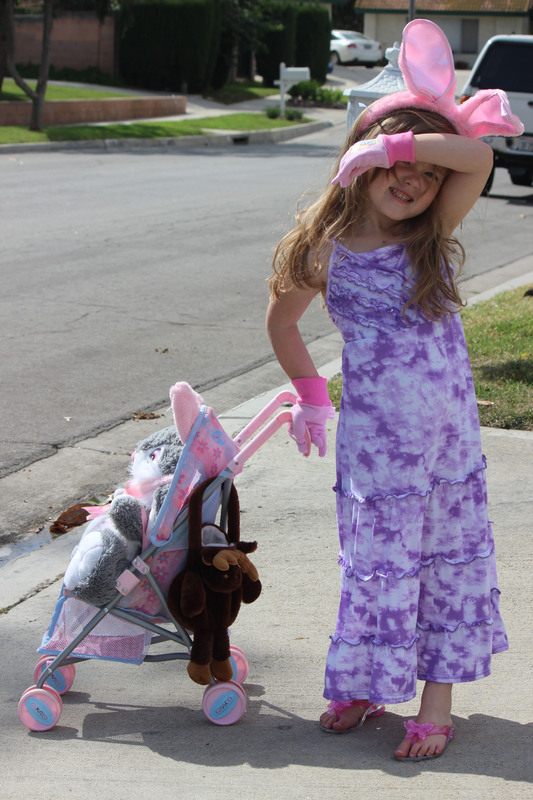 On this Easter Sunday in sunny Orange County, young Adyson takes her bunny on a walk. Tastefully clad in her new frock and princess slip-ons she knows a true lady wouldn’t leave the house without the proper gloves and hat. The only decision she regrets is leaving her sun spectacles behind.